While any preparation of spinach is finger licking delicious, I especially like this one. It is called “Keerai Molagutal“. It is a celebration of spinach with coconut and cooked lentils or dal. You can eat it with steamed rice or just a bowl full with a dollop of cream or plain yogurt. To cook the toor dal, soak half a cup in warm water for 20 mins. After that, pressure cook it with turmeric for 3 whistles. Keep it aside. Wash and steam the spinach until it is cooked. 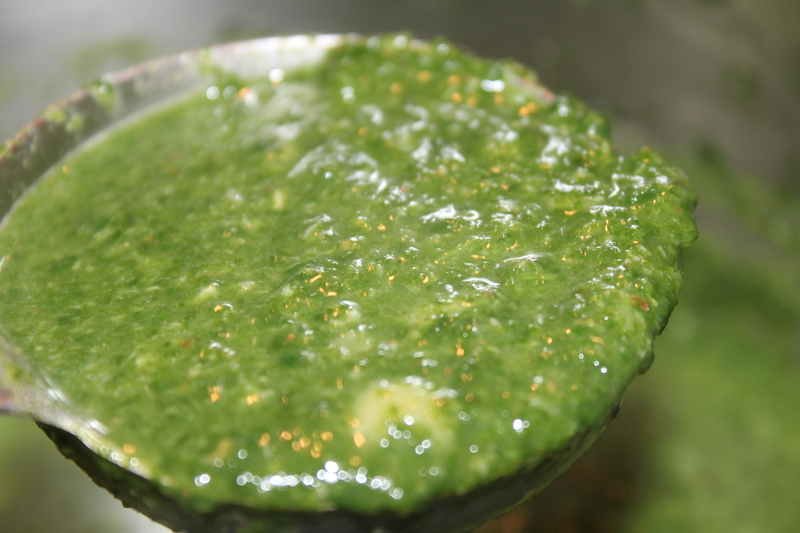 Use a hand blender and blend it to a smooth paste. To make the coconut paste, add the shredded coconut, dried chillies and cumin and warm water to a blender jar. Grind it till smooth paste. 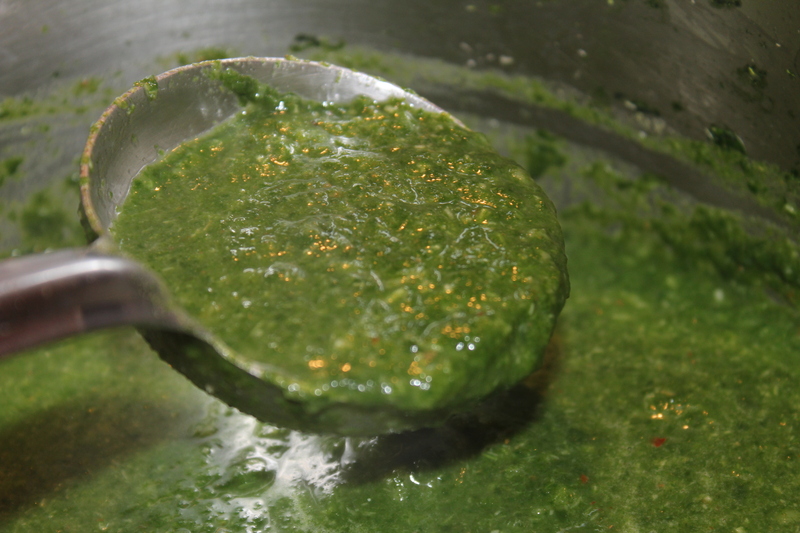 Add all the above (cooked dal, coconut paste) to the smooth spinach paste and mix them well. DO NOT BOIL THIS. Finally, temper some mustard seeds in some coconut oil and add to the above. Your “Keerai molagutal” is ready to eat. Serve with some cooked rice with some Indian pickle on the side. You can even eat it with some cool yogurt as a quick soup stew.